#PrayforEmtee starts trending on Twitter as fans and musicians weigh in on Emtee’s car crash performance. 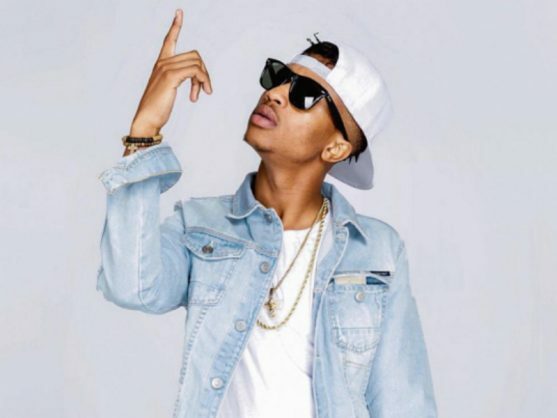 A video of rapper Emtee apparently zoning out at a live performance in Durban has gone viral, prompting both concern and criticism from fans and fellow musicians alike. The video shows Emtee approach the front of the stage in front of excited fans and then pitch backwards and collapse, causing uproar. Another video has surfaced showing Emtee being escorted from the stage by security guards, looking for all the world like he’s barely semi-conscious. Following social media sharing the video like wild fire, the hashtag #PrayForEmtee has started trending on Twitter. Many fans have weighed voicing concern for the troubled artist. Emtee needs help. I feel like they could’ve announced that he is not feeling well or something instead of allowing him to perform in that state. I am not shocked with how Emtee is, after cyber bullying him because of his man organ & laughing at his wife calling him his 'mother' this was bound to happen soon. Even if he was on drugs before people have bullied this kid to a point of drugging himself just to numb the pain???? Not even being rude this is genuine concern because he has a wife and kids. Emtee needs professional help and he needs it as soon as possible. Emtee has certainly had his problems of late. The rapper was recently in the news for seemingly picking a fight with himself on Twitter.